Six months after releasing a quaintly charming album of slickly-produced covers of easy listening standards in "Sentimental Journey", The Beatles had now split up, and Ringo Starr turned to another of his musical influences - Country and Western. Like its predecessor, this was an essentially harmless, appealing personal labour of love for Starr. The sound quality and production is once again outstanding and the while thing has a laid-back, sleepy flavour to it, heightened by Starr's naturally laconic voice. The latter suited the maudlin country songs perfectly. He had dabbled in C&W while with The Beatles, of course, with "Act Naturally" and "What Goes On" and "Don't Pass Me By". There are no Starr compositions on here, but the material is performed in the same style. There were a few snooty criticisms at the time that largely stemmed from Starr's limitations as a singer, but you really have to leave that at the door and just enjoy it for what it is. There are echoes of Bob Dylan's Nashville Skyline but the material is even more traditionally C&W than on that album. All the material is largely pretty much as you would expect - laid-back with lots of twangy steel guitar and lachrymose lyrics. 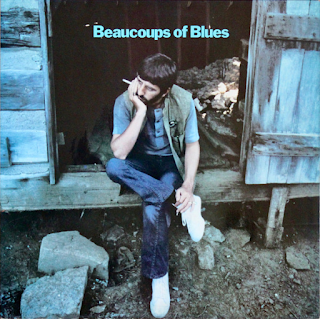 The title track exemplifies that, (sung as "boocoos" of blues") as does the bassy, walking pace warmth of "Love Don't Last Long". "Fastest Growing Heartache In The West" is a fiddle-backed, steel guitar typical C&W, while "Without Her" has a big influence from "Nashville Skyline" all over it. 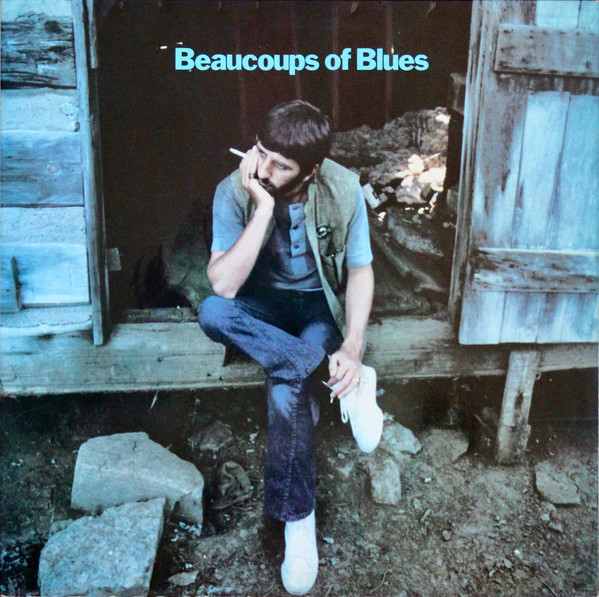 This sort of country rock was so de rigeur in 1970, with Dylan, Crosby, Stills and Nash, The Byrds and America among many artists putting out such stuff. "Woman Of The Night" has a big, seventies-style chorus but it has to be said that Ringo's voice isn't great on this one. To be honest, none of the rest of the songs deviate from the furrow being ploughed in any way, although "$15 Draw" has a bit of a country blues feel about it, and there isn't a huge amount more to be said other than it is, like Elvis Costello's "Almost Blue" a pleasant enough venture into Country And Western. Actually, the mould is broken just a tiny bit on "Losers' Lounge" - an upbeat, honky-tonk-ish number with hints of Elvis to it. 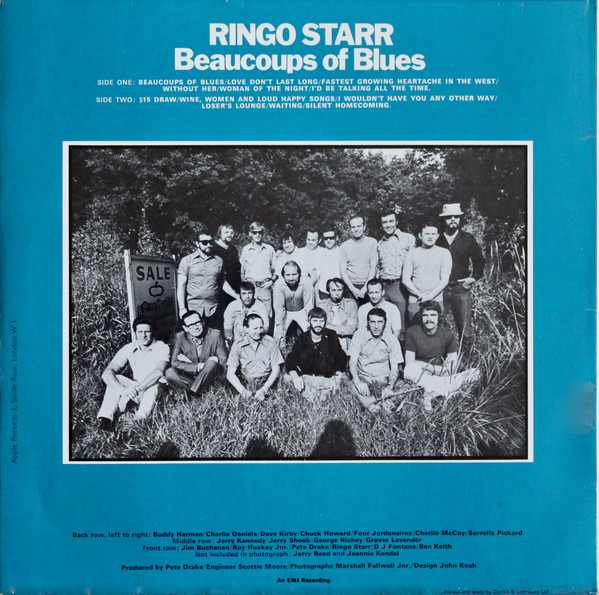 A quick mention has to be made of the two bonus tracks that appear on the latest remaster - Starr's own bluesy "Coochy Coochy", which is upbeat and fun, and should have been on what is a short album and a six minute plus instrumental in the lively, bass and organ-driven "Nashville Jam". They both augment the original album considerably, giving it a bit more "oomph". With the release of this album, it had people wondering whether Starr would explore a different genre on every outing. As it happened he took it easy for a few years putting out a couple of successful singles in "It Don't Come Easy" and "Back Off Boogaloo" before returning with a more standard rock album in 1973's "Ringo".